How can I save on fees? How do I build good credit in Israel? What does the bank want from me? What pitfalls do I need to avoid? 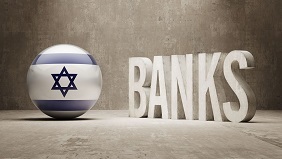 For new and veteran Olim and anyone who does not understand Israeli banking. This webinar is jam packed with useful information. 20:30 Israel, 18:30 GMT(UK), 13:30 EST (New York), 10:30 PST(Los Angeles). Choose one of our two easy sign up and payment methods. 1. Paypal in Shekels (with a credit card or via a paypal account). For the 22nd November webinar at 40 NIS click here. We will send you a link and password for the webinar, 24 hours before.